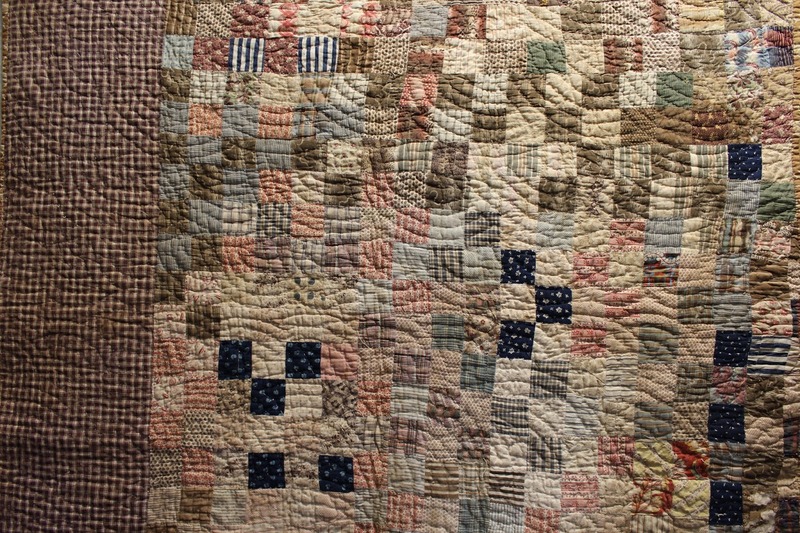 A rather unique crib quilt featuring 4 Burgoyne Surrounded blocks circa 1860. Burgoyne Surrounded isn't a super common quilt pattern and is even less common as a crib quilt. Starley Quilt Collection, part of my Sweet Little Things antique crib/doll quilts trunk show or antique quilt study class. Such an unusual fabric choice for a two color quilt - so busy that the block design can hardly be deciphered close up and needs distance to be truly appreciate. I love everything about this quilt! I would like 25 yards of that blue fabric please!!! 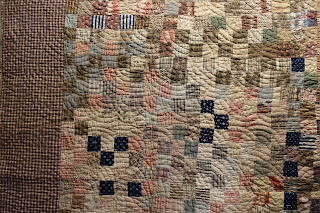 Love two-color quilts, especially busy ones such as this! Might go blind working on it tho!